Hi everyone! I’m Sara from Bitz & Giggles. 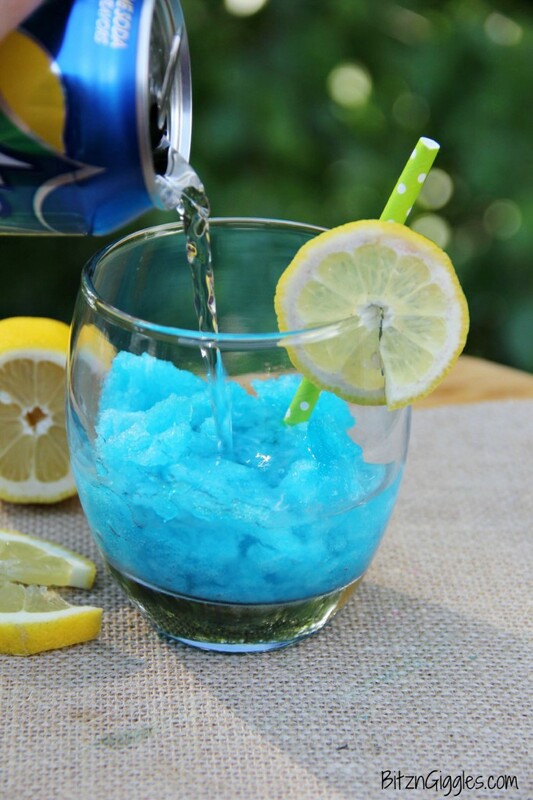 Today I’m sharing a super fun and refreshing slush recipe, perfect for summer parties and BBQs! 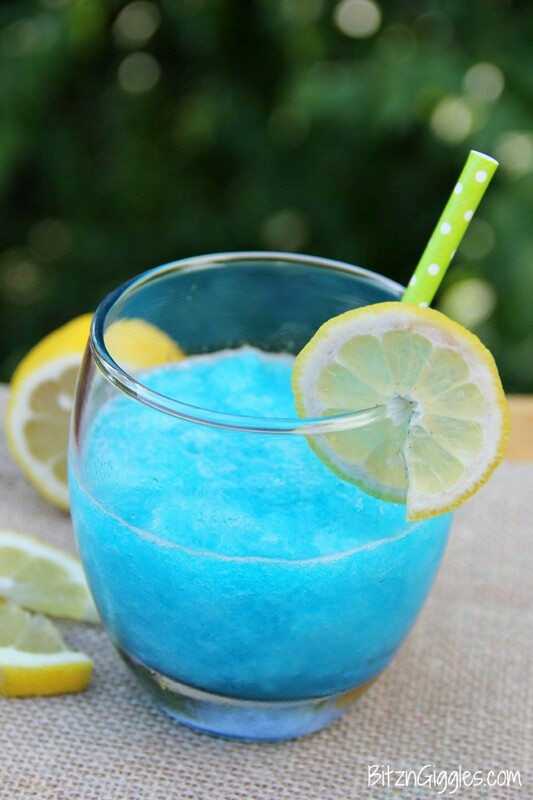 Ever since I was a little girl I was attracted to blue drinks. The color just appeals to me and it screams refreshment. I remember a few years ago when I was traveling with one of our executives for work – during one of our layovers at the airport we decided to pass some time by going to one of the bars for a drink. He ordered a margarita; so I did the same. The Blue Raspberry Lemonade Jello Slush I’m sharing today isn’t alcoholic in nature. I created it with my kids in mind and, well, I suppose to appeal to my inner child as well. The blue color makes me happy and reminds me of summer. The Jello is what gets the kids excited. 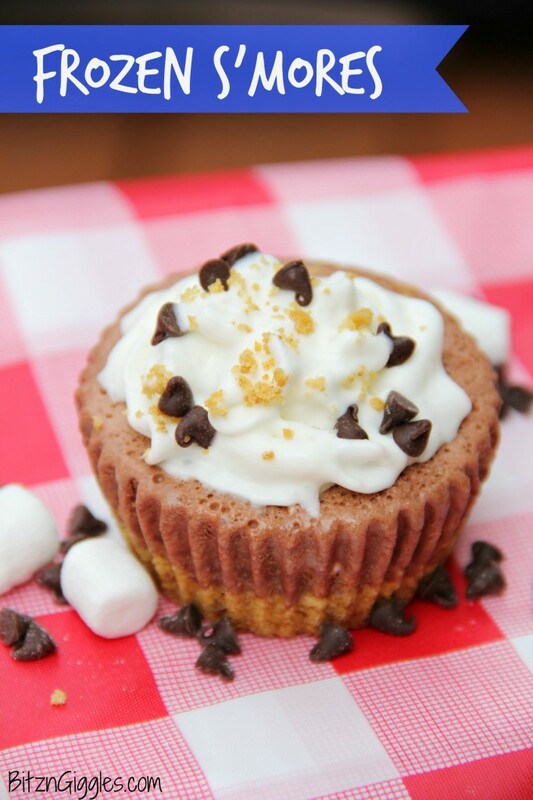 It’s a win-win and actually a pretty versatile recipe. 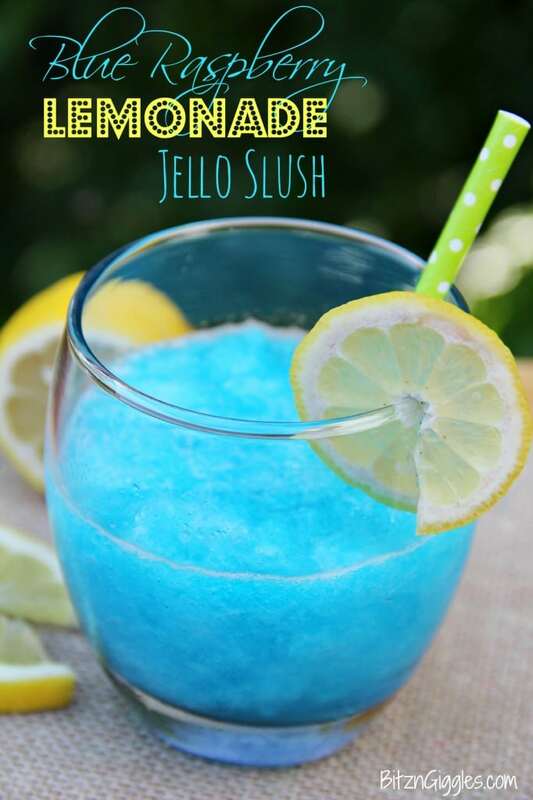 You can add some of the slush to a glass with some lemon-lime soda or lemonade, and drink it. OR. . .you could grab a knife. . . 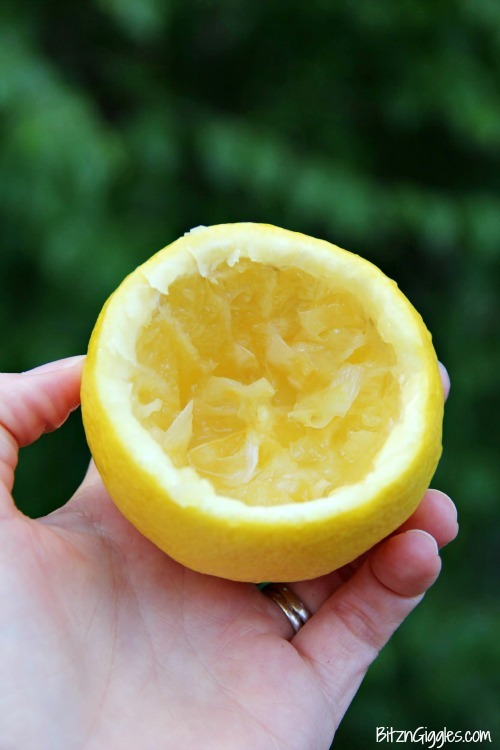 Hollow out the inside of a lemon. . .
And fill THAT with the slush. If you want to drink the slush out of the lemon, add a little lemon-lime soda. 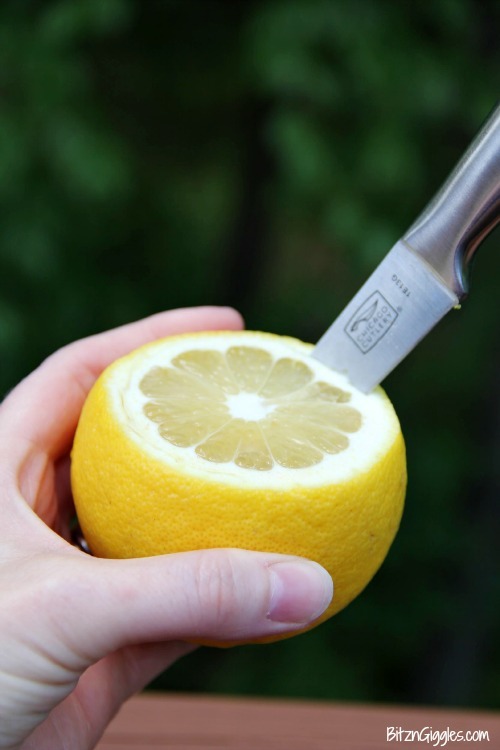 If you want to spoon it out of the lemon like Italian Ice, do nothing! Garnish with a raspberry or two, grab a spoon and you’re golden! I will admit, the slush and lemon-lime soda combo is my favorite. Now, if you’ve just had a really long week, go ahead and turn this mocktail into a cocktail by adding a little vodka. 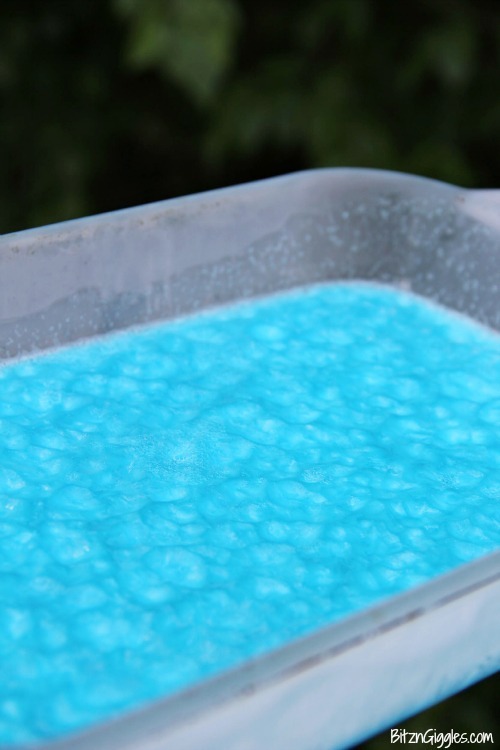 Suddenly, it’s transformed into a slushy Electric Blue Vodka Lemonade. Refreshing? You be the judge. I’ll just be waiting over here. . .to be awarded my “blue” ribbon after you finish your drink. 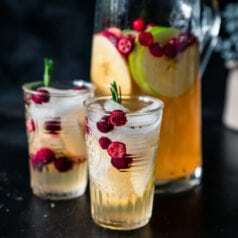 You’re going to LOVE this and so will your kids (the mocktail version, of course)! Cheers! 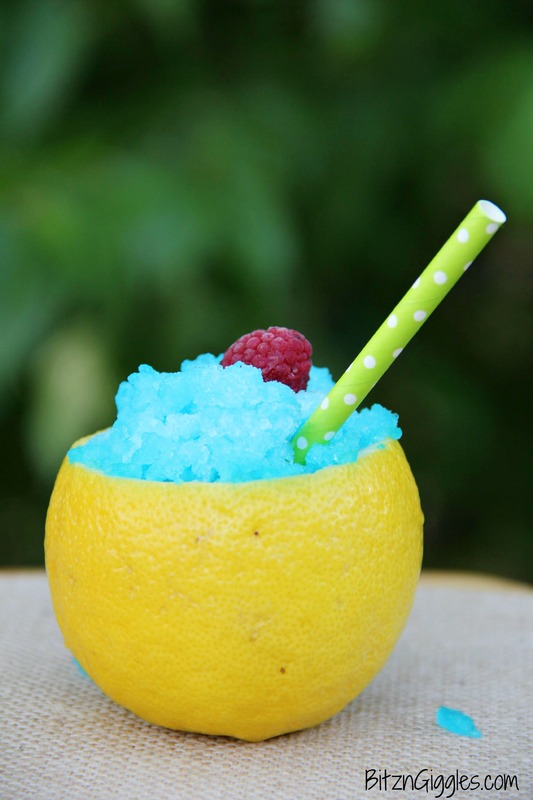 Super fun and refreshing slush recipe, perfect for summer parties and BBQs! Additional lemon-lime soda or lemonade to add to drink when serving. 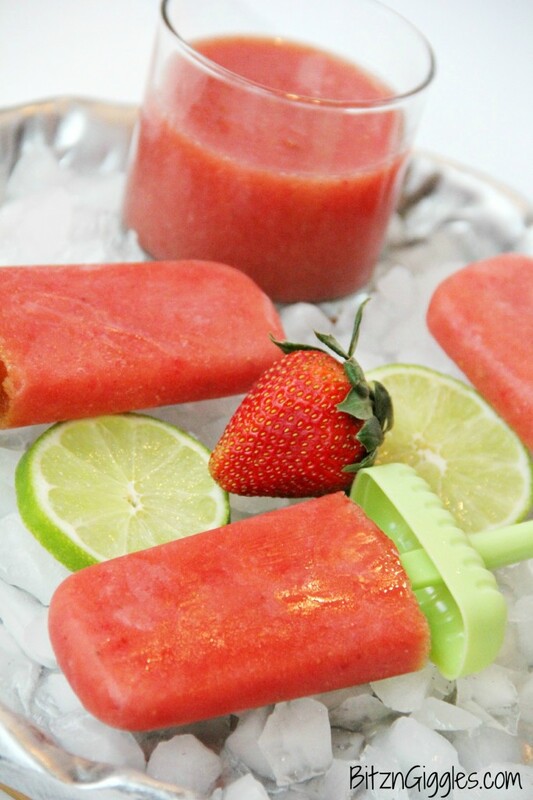 Stir in soda and lemon juice and freeze for 4 hours or more until frozen solid. 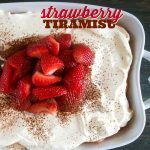 Looking for more summer recipes to enjoy? Here are a few of my favorites! 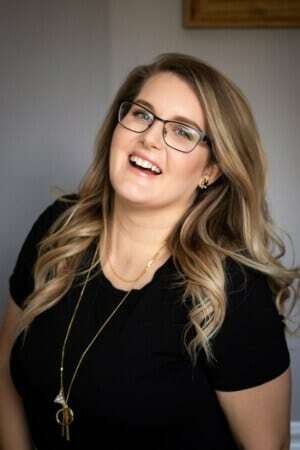 I’d love for you to follow all of my recipes and adventures over at Bitz & Giggles, and don’t forget to connect with me online! hi! 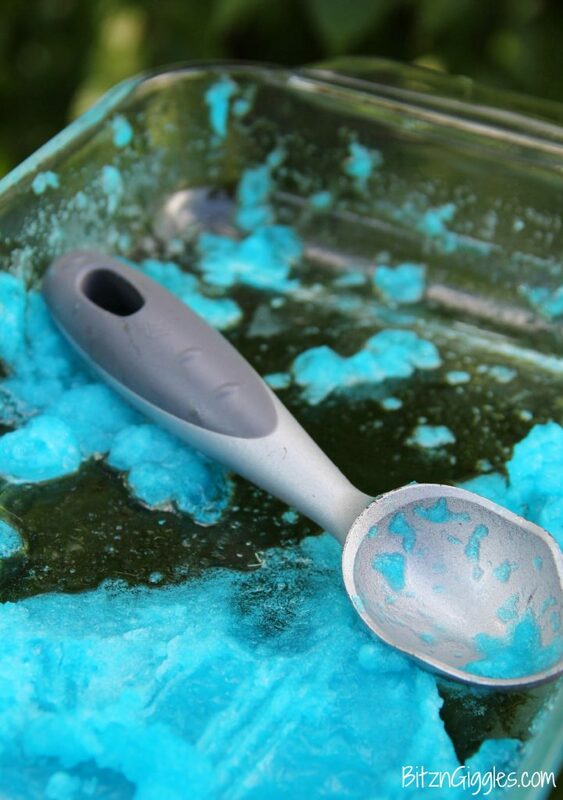 LOVE this jello slushie receipe and can’t wait to make it. Particularly beautiful in that lemon! 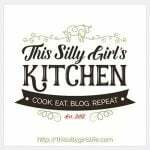 I found your link on the Craftyblogstalker’s linky party and wanted you to know I love your site! You can definitely do this with any flavor of Jello, Millie! 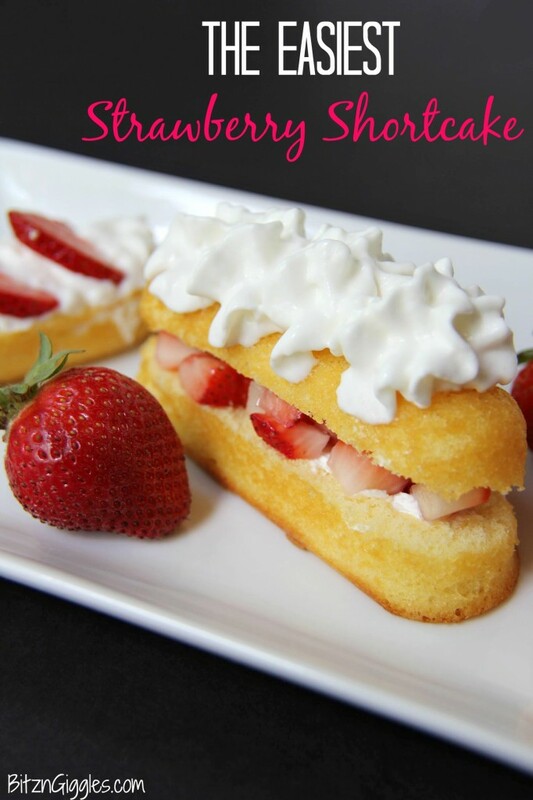 So yum perfect for my 4 kids ? 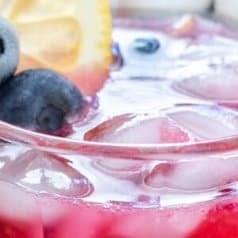 This looks like the perfect drink to have in hand on a hot day! 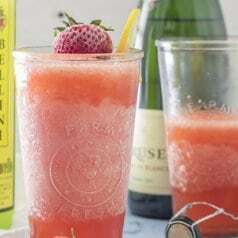 I like this so much I’ll be including this a Summer Drinks roundup on my blog later this week! 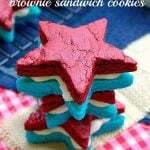 Thanks so much for sharing this at Frugal Crafty Home Blog Hop! Thanks so much for the kind words, Robyn. I hope you try the recipe soon! Thanks for sharing with Great Idea Thursdays. I’m featuring this in a Great Ideas Roundup. How many serves does this make? I make blue deviled eggs! I told my Granddaughters that a luck bluebird laid it ! and if they eat it they will be lucky too!